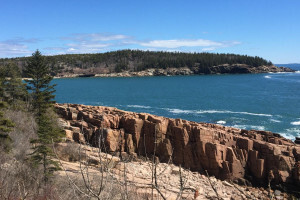 For an incredible trip of a lifetime, plan on taking a puffin and/or whale watching cruise along the coast of Mount Desert Island and Acadia National Park. In addition to seeing a variety of whale species, you will be able to view seals, bald eagles, porpoises, dolphins, falcons and the most notable birds in the area - North Atlantic Puffins. 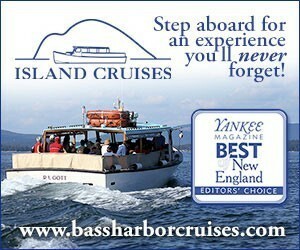 Offering sightseeing tours for shore and sea-birds up and down the coast. Lots of choices for boat-guided or self-guided birdwatching tours. You'll be amazed what you see during our seabird tour. Not only will you see the cute and animated puffin, but often whales, dolphins, seals and more. 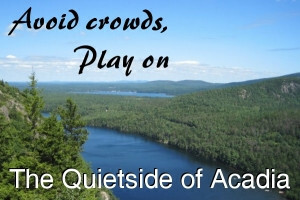 One of Acadia's best outfitters for SUP tours of inland bays, a lake trip, yoga, and kayak tours on open water. 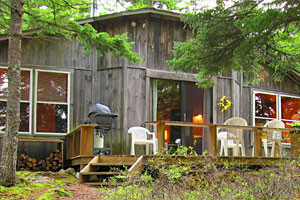 Plus DIY rentals to explore on your own. See rates & locations. 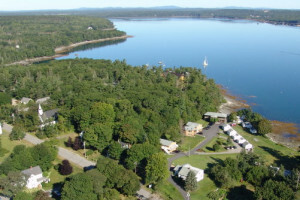 The Gulf of Maine and the region that encompasses Acadia National Park is rich with marine life. 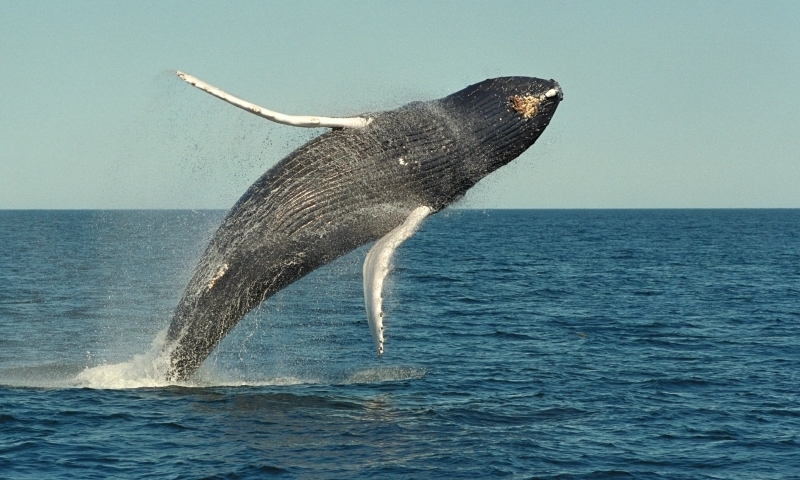 Among the marine life are Finback, Humpback and Minke whales. On a whale watching tour, you will be able to see these and possibly be able to view various species of sharks and Giant Tuna. There are all kinds of incredible creatures to encounter while cruising the area. This area is also home to the Atlantic Puffin - previously know as the Common Puffin. This pigeon-sized seabird actually lives on the open ocean during the majority of the year. They are well suited for this life. Puffins swim underwater, using their wings to propel them through the water, while their feet act as a ruder. Puffins do not live on the land other than during the breeding season. They are a true sea bird, living, swimming and riding the ocean waves regardless of the weather. It is pure joy to be able to observe these unique and fascinating birds in their native habitats. Don't miss this opportunity. 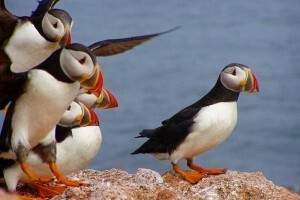 Book a cruise today that will enable you to see both whales and puffins in their natural environment. The Bar Harbor Whale Museum is a museum focusing solely on the Gulf of Maine's whale and seal populations.